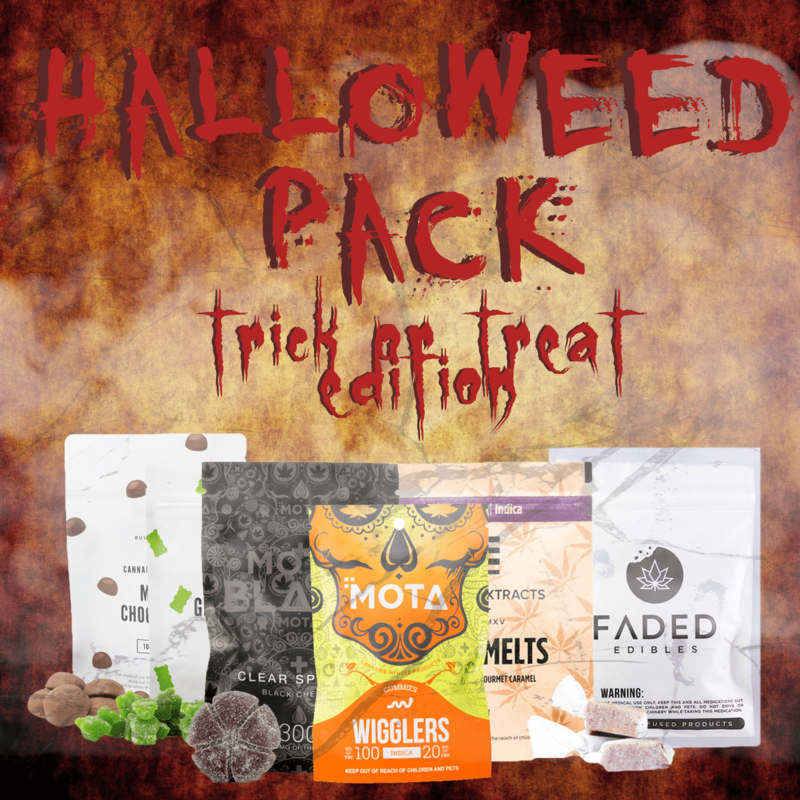 Celebrate this spooky month with our limited-time only Halloweed series of variety packs! Are you too old, or too lazy for trick-or-treating but still want to enjoy some delicious candies? With our Trick or Treat edition of our Halloweed series, you can enjoy a variety of cannabis-infused edibles to satisfy that sweet tooth without having to go door-to-door. 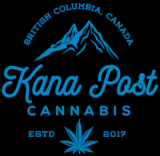 Whats Included: 1 pack of Buuda Bomb Strawberry Gummy Bears 1 pack of Buuda Bomb Milk Chocolates 1 pack of Faded Cannabis Grape Crush Gummies 1 pack of Faded Cannabis Cherry Bomb Gummies 1 Flyte Concentrates Frosted Grape JetPack 1 Flyte Concentrates Orange Float JetPack 1 pack of Mota Cannabis Wiggler Gummies 1 pack of Mota Cannabis Black Spheres 1 pack of Twisted Extracts Indica Cara-Melts ADDITIONALLY RECEIVE: Green Society Logo Key Chain The total value of our Halloweed Pack: Trick or Treat Edition comes to .00 but act quickly as we have lowered it to .99 until quantities last!